Lane McNab’s eponymous firm specializes in the design of first and second residences, boutique retail, and full home interiors. Founder Lane’s love of architecture and design was born from her travels throughout Europe and Japan, and living in cities such as San Francisco, Charleston, SC and Memphis gave her a lifetime love of the relationship between a home’s past and present. 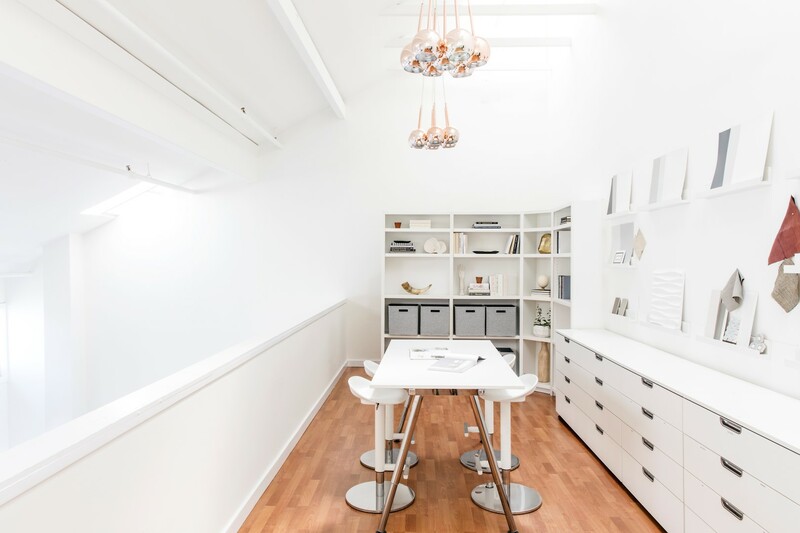 Lane apprenticed on numerous projects with a local design and construction firm as a designer and assistant project manager before founding her own firm in Berkeley, California in 2012. This hands-on experience allowed her to develop a network of trusted vendors, artisans and tradespeople, often with environmental certifications. 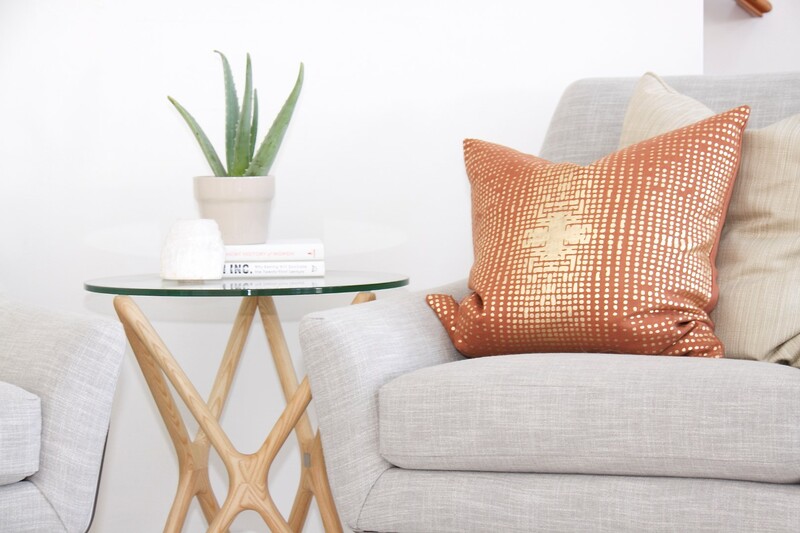 Custom and semi-custom pieces are a feature of many of Lane’s designs and she works with local artisans to create one-of-a-kind pieces for clients throughout the Bay Area. 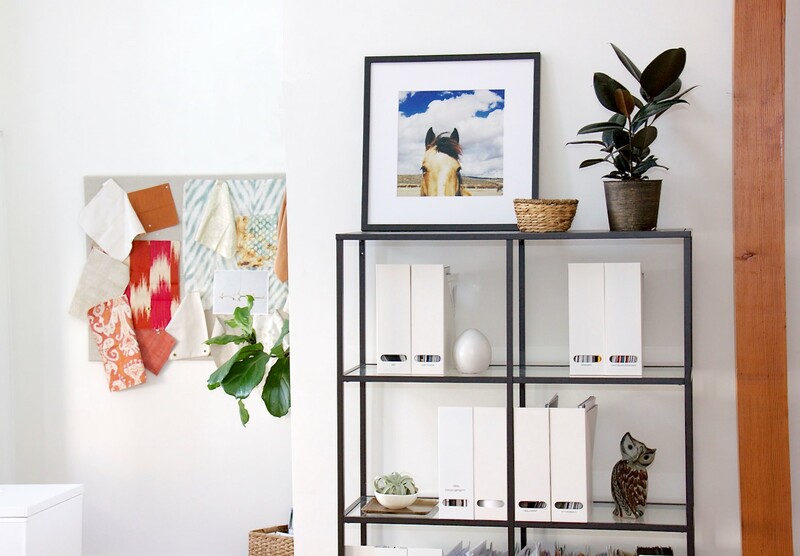 This two story office and design studio provides everything an interior designer needs. 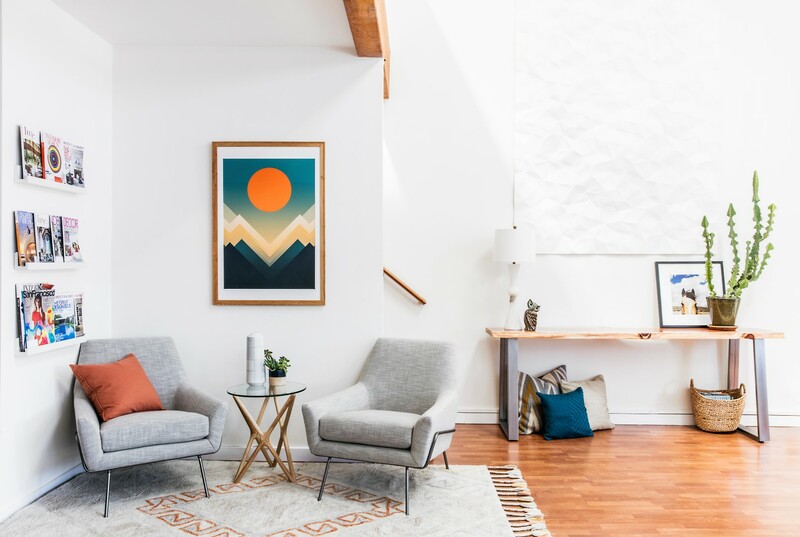 Its balance of sturdy warehouse architecture (there’s an unexpected loft space and a giant beam that cuts through the middle) and accessible, welcoming furnishings allows for creativity and optimized, organized design. The grandness of the ceiling height paired with the quirkiness of the beams and windows gave Lane McNab a lot of design freedom, while also reinforcing the industrial aesthetic of the overall space. The goal of the project was to create a space that was conducive to her firm’s work without forgoing style. 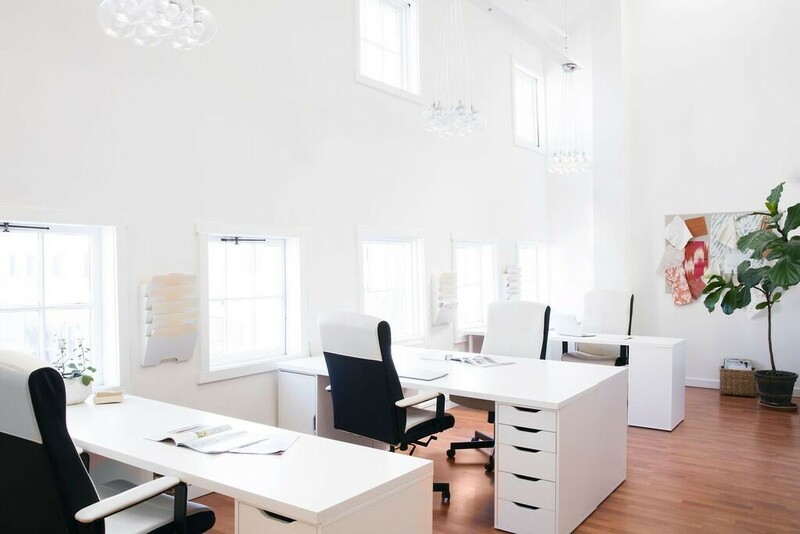 The interiors feature a lot of bright white, providing a clean backdrop so the team can focus on the colors associated with specific projects they’re working on rather than vibrant hues in their own office. Graceful and organic accents, like reflective glass bubble pendants and hide rugs, contrast precisely with the industrial architecture. At the same time, these and other features provide realistic, useful properties like illumination and storage. 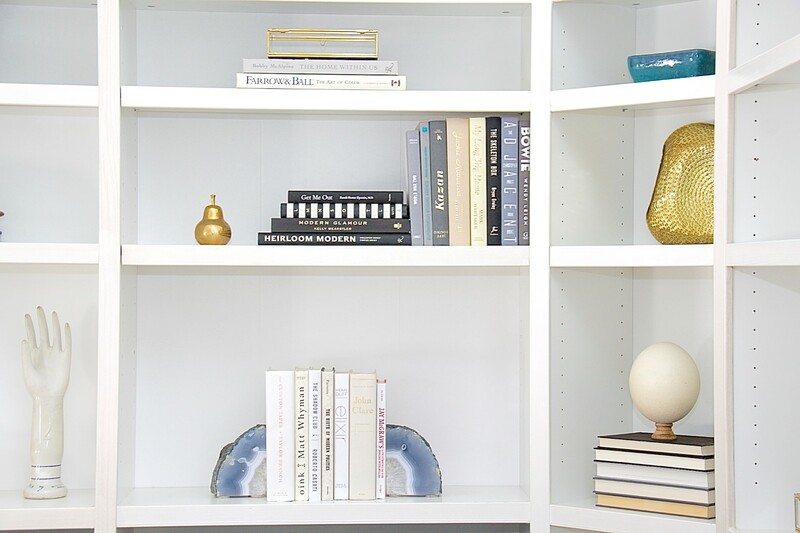 Open shelving is both stylish as well as handy, storing away shelter magazines and more. 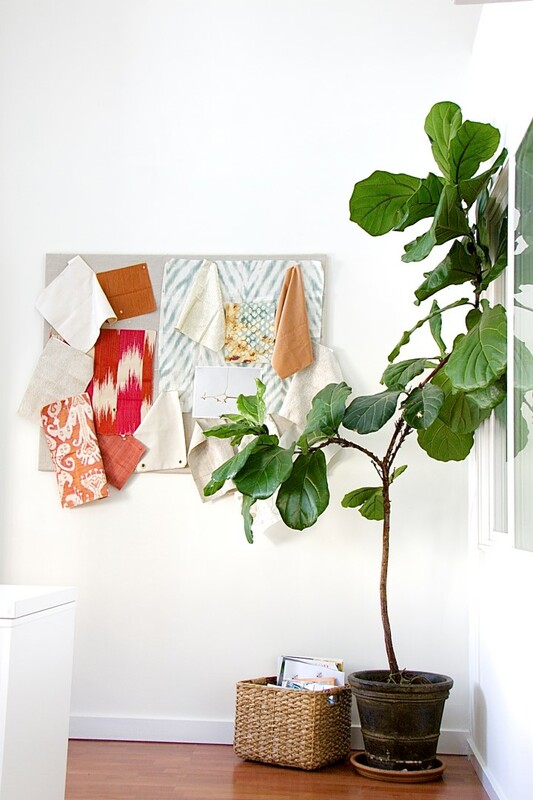 A magnetic board is a sleek accent along a long wall, and is the perfect place to display fabrics, furnishing ideas, and during client meetings. What was the creation / planning process? When it comes to finding inspiration for a project’s design, I always start in two places: the building/environment itself and the people who will be living and/or working there. This is always my secret weapon to achieving a grounded, authentic space, which I definitely see as my design hallmark. For me, successful design is beautiful AND feels like it belongs where it is. So, when it came to this project, the first part of that equation was understanding the building itself. Our design studio offices are located in an old Tannery complex in Berkeley, California. The building was built in the early 1900s. It still retains the feel of its original facade – a little Shaker industrial – and the surrounding area is an up-and-coming commercial and light industrial district. A giant beam goes through the middle of the downstairs floor and there’s an unexpected loft space that I just love. 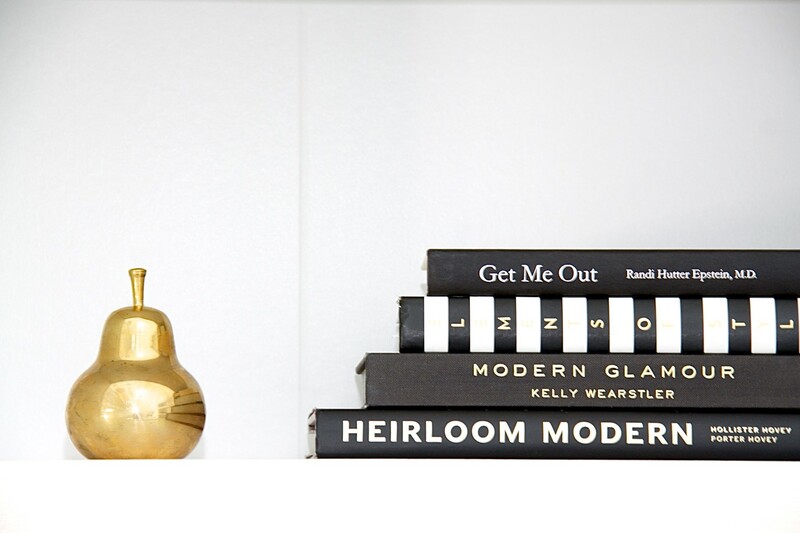 I chose to modernize the space with Benjamin Moore’s Simply White. A white with cooler undertones would have made the floor pop too much. 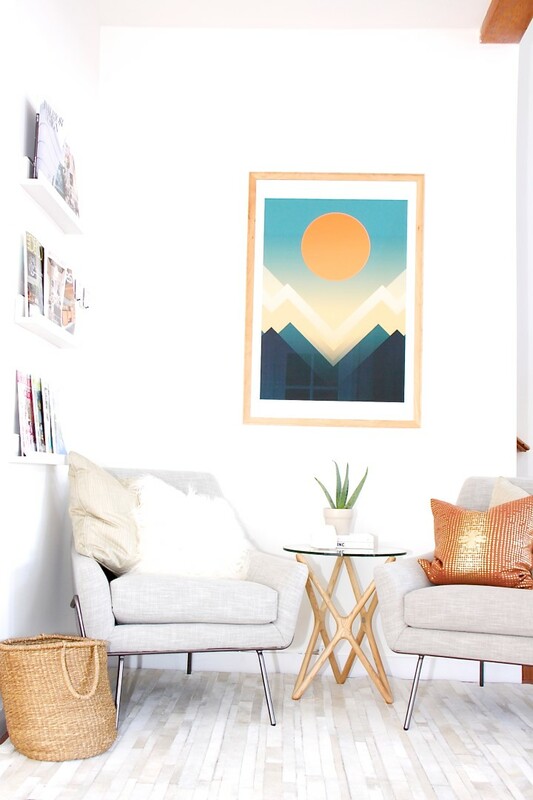 This floor also features a seating area with two, comfy contemporary chairs that are paired with a wood-and-glass table and a graphic, bold, geometric print. I love balancing geometric, industrial architecture with organics. I used a hide rug on the floor for just this reason. Reflective glass bubble pendants not only illuminate the desk area downstairs, but also add elegance to the overall warehouse feel. Upstairs, I designed the space for creativity, but I also wanted it to be a place where we could present our visions to our clients. I loved all of the natural light and the open-raftered, warehouse feel of the space, but knew there needed to be a bit of elegance added. I brought in more of those glass bubble pendants, but used a rose gold anchor for a touch of luxury. Then, I made sure that we would have enough storage, so the space could remain open and inspiring. Functionality, ease-of-use, and beauty were all key players in this office’s design. We added additional storage, miles of drawers, in order to keep our huge fabric library organized and neat. I then focused on my second source of inspiration: myself and my team (we were the clients in this case). This is when I brought in the natural elements, focusing on aesthetics and incorporating my love of organics paired with geometric accents and a touch of the unexpected! The project went well overall. We came up with a design plan pretty quickly and knew what we wanted and where to focus the budget. The hardest part was finding the space in the first place! We looked for almost a year for a studio that met all of our needs. What was your favourite room or part of the project and why? My favorite area in our office is our live-edge table under our dimensional wall art. The table, handcrafted locally and sustainably by Mezworks was such a find. We also had three-dimensional panels in a textural origami design installed above the table to add subtle texture and visual interest. The angles of the wall panels offer a contrast to the organic lines of the live-edge table as well as the crazy cactus on the other end. I love that cactus for so many reasons. Caring for it is a breeze and it’s an instant organic sculpture. Were there any issues or problems you encountered during the project? Though I wouldn’t call it an issue or a problem, the flooring in this office space did pose a challenge . Changing the flooring wasn’t in the budget, so I had to work around the undertones it provided. Making sure the result matched the elegance and modernity of the rest of the design was my biggest challenge.